Evidence that addiction is a solvable coping problem rather than a chronic, recurring disease seems like encouraging news. But it’s highly controversial. Neuroscientists and many clinicians regard drug addictions as brain illnesses best vanquished with the help of medications that fight cravings and withdrawal. From this perspective, drug-induced brain changes increase a person’s thirst for artificial highs and make quitting progressively more difficult. This conflict over addiction’s nature plays out in two lines of research: studies of remission and relapse among treated substance abusers and long-term studies of the general population. 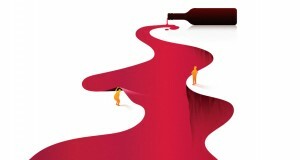 Follow-up investigations of people who attend treatment programs report that addicts never completely shake an urge to snort, inject, guzzle or otherwise consume their poisons of choice. Ongoing treatment in psychotherapy, rehab centers or 12-step groups encourages temporary runs of sobriety, but it’s easier to kick the bucket than to kick the habit. Surveys and long-term studies of the general population, however, observe that addicts typically spend their youth in a substance-induced haze but drastically cut back or quit using drugs altogether by early adulthood. Most of those who renounce the “high” life do so without formal treatment. Each research approach has drawbacks. Treatment studies don’t include people who overcome addictions without seeking formal help, and thus underestimate overall recovery rates. Community surveys often overlook individuals with especially harsh drug problems, and thus overestimate recovery rates.